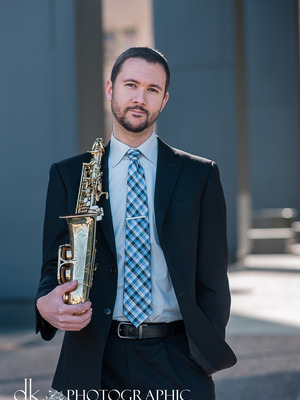 Saxophonist, composer, educator, and curator, Michael Rene Torres, currently serves as Lecturer of Saxophone at The Ohio State University in Columbus, Ohio. He is the founder and Executive Director of the Columbus Ohio Discovery Ensemble (CODE); a contemporary music ensemble that is dedicated to the promotion, performance, and perception of new music in Central Ohio. Additionally, he is an advisory board member of the Johnstone Fund for New Music which advances the performance of new music for the benefit of the Central Ohio community and is an executive committee member of the Society of Composers, Inc. as the co-editor for the bimonthly national SCI Newsletter. Torres has presented recitals, clinics, and masterclasses at conferences and universities throughout the U.S. As an advocate of contemporary music, Torres has commissioned and premiered several works for the concert saxophone and is an active chamber musician as a member of the Tower Duo with flutist, Erin Helgeson Torres. Tower Duo specializes in creating engaging musical experiences and commissioning new concert works to advance the growing repertoire of the flute and saxophone duet. His compositional interests are in chamber music that explores the juxtaposition of consonance and dissonance and is often inspired by psychology. He served as Assistant Dean of Students at the Brevard Music Center Festival and Institute (2010-2015), Instructor of Music at Ohio Dominican University (2014-2015), Assistant Event Coordinator for The Ohio State University Contemporary Music Festival (2010-2012), and as the General Manager of the 2013 National Conference of the Society of Composers, Inc. He holds degrees from The Ohio State University (DMA-saxophone, MM-composition), Northwestern University (MM-saxophone), and Stetson University (BME-education). He has studied saxophone with James Bishop, Frederick L. Hemke, James Hill, and Joseph Lulloff and studied composition with Thomas Wells and Kari Juusela. Torres is a Conn-Selmer Endorsing Artist and performs exclusively on Selmer Paris saxophones. Visit Dr. Torres' website for more information.